Annual Krewe of Bananimals Chili Cook Off. Entry is free and eating is Free! 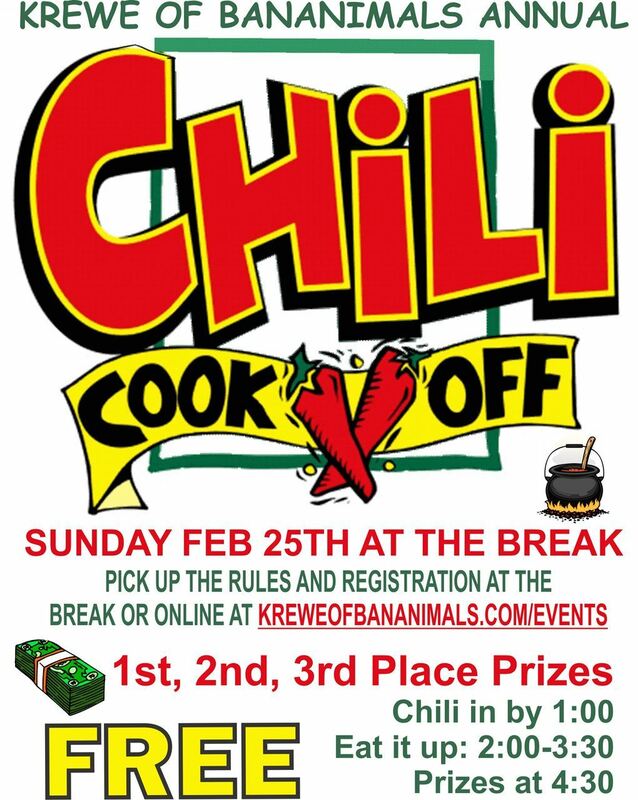 Come to The Break on Sunday Feb 25th to sample some of the best Chili on the Gulf Coast. See you there! Make sure you register now if you want to cook. Spaces are limited.